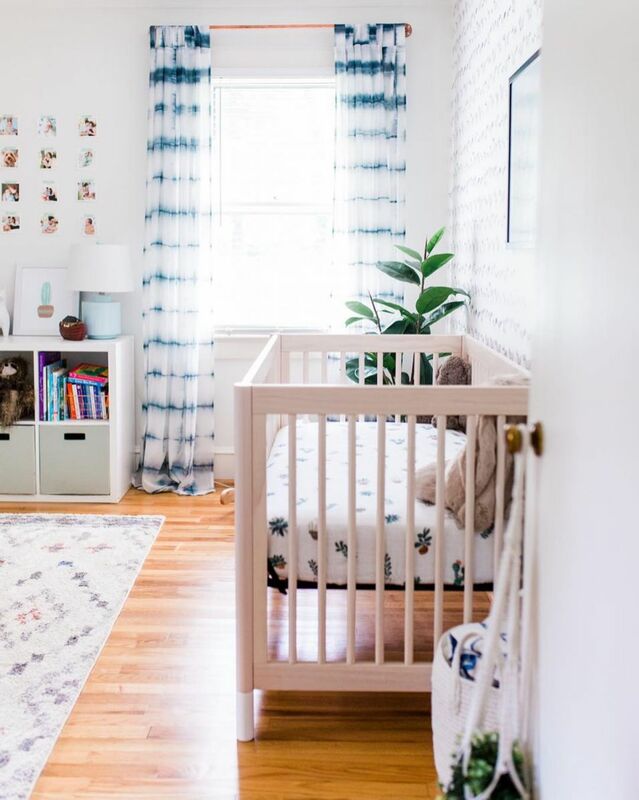 Classic nursery designs that will grow with your child. 1. 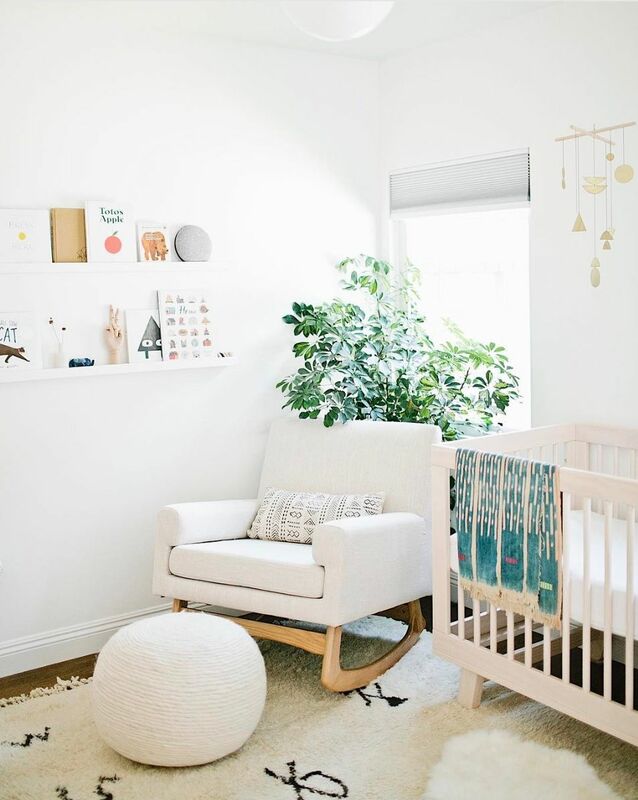 This bright and cheerful space with a handmade mobile. 2. 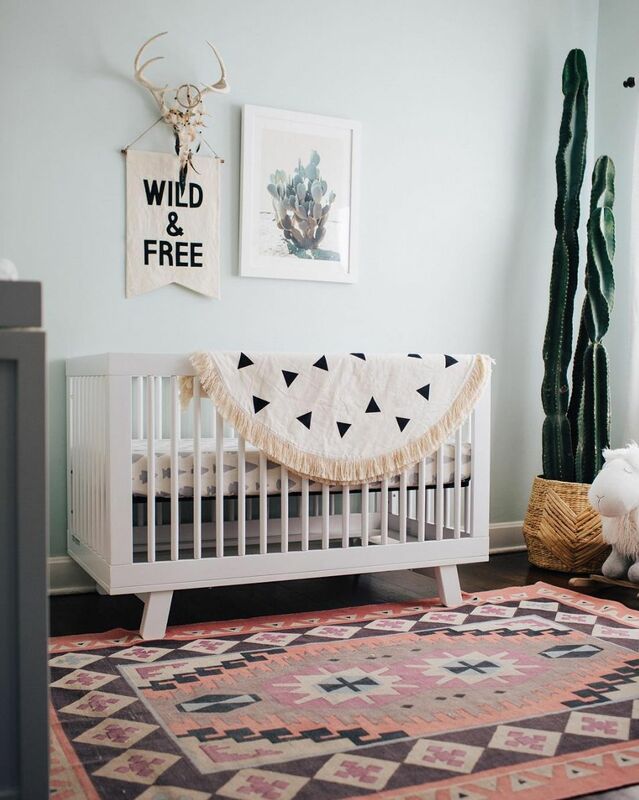 This desert-inspired nursery featuring power-clashing patterns. 3. 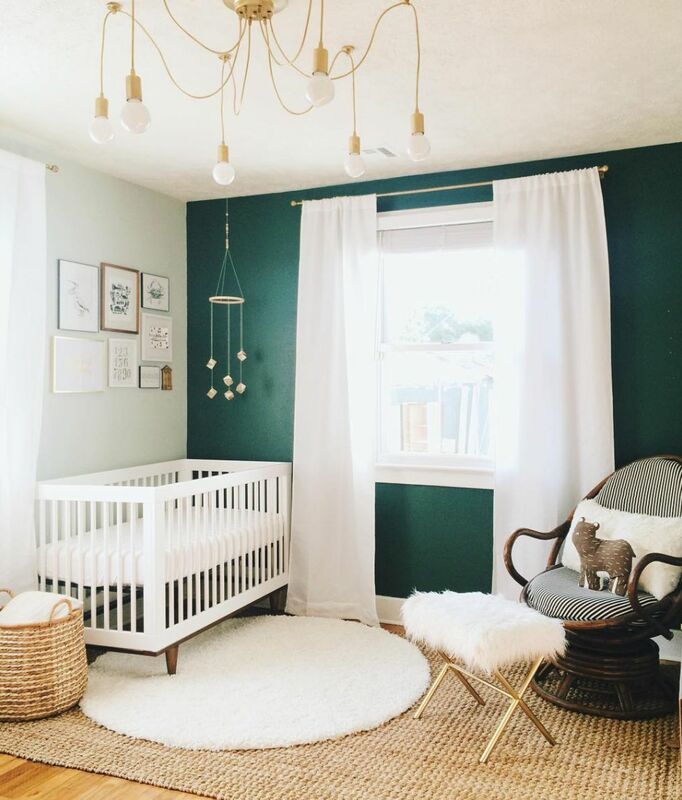 This green and gold color scheme with a few DIY touches. 4. 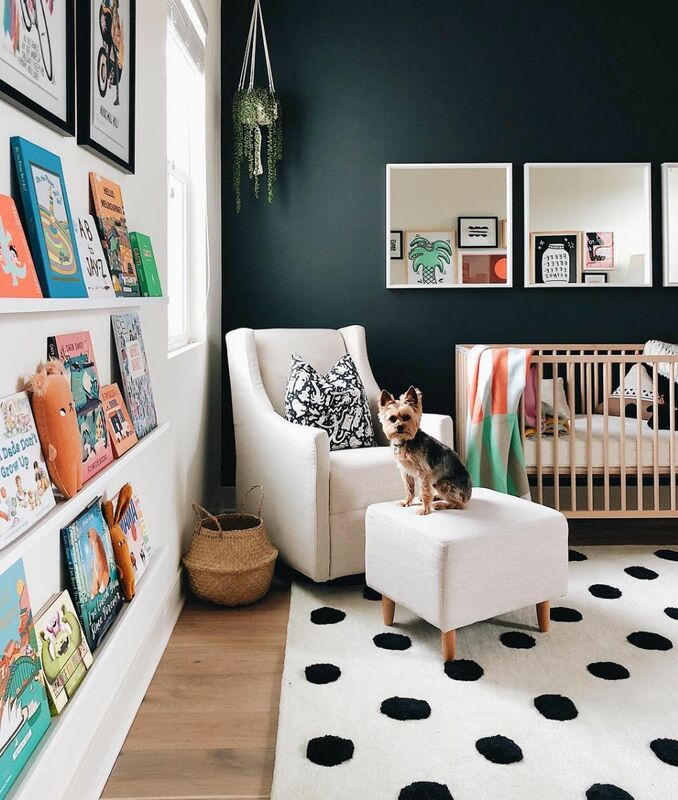 This subtly animal-themed nursery with pops of yellow. 5. 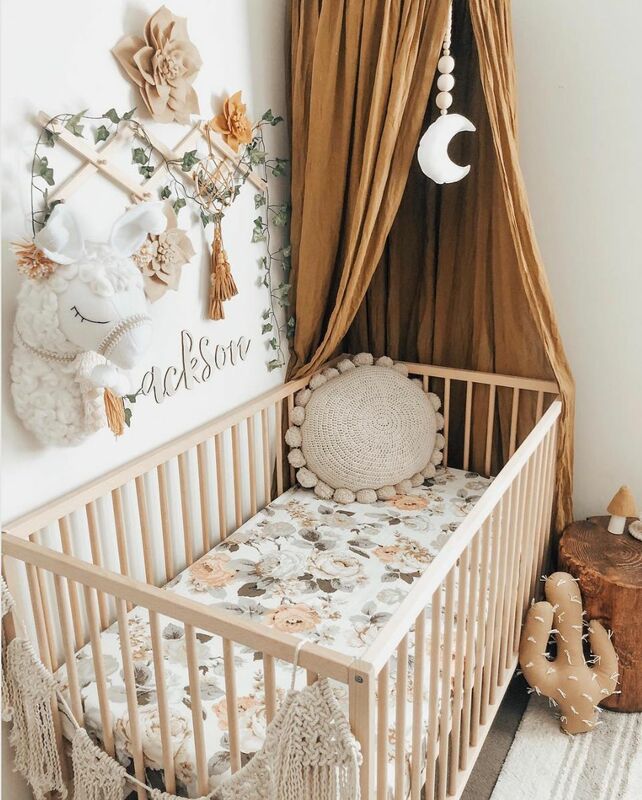 This crib setup with a canopy in the corner and a faux-taxidermy llama head to boot. 6. 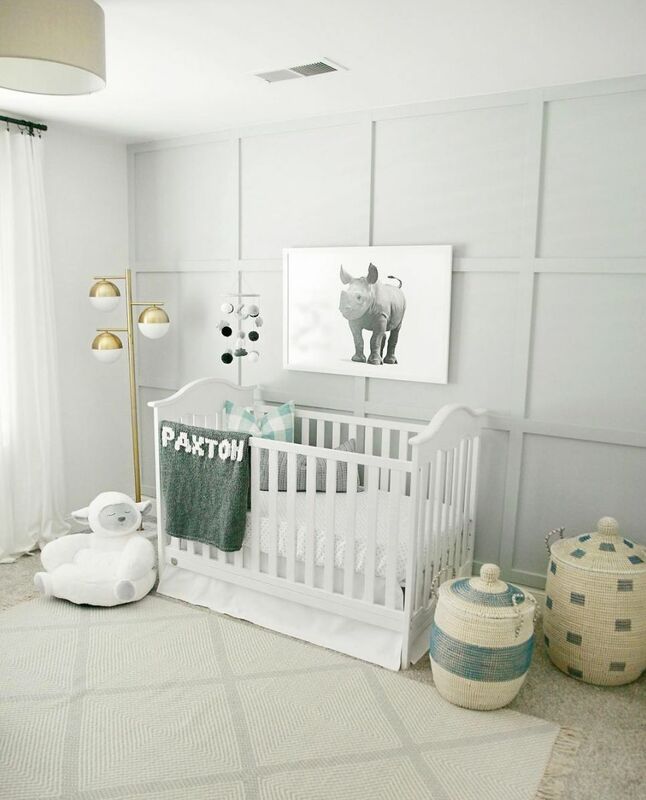 This farmhouse-style twin nursery wrapped in shiplap. 7. 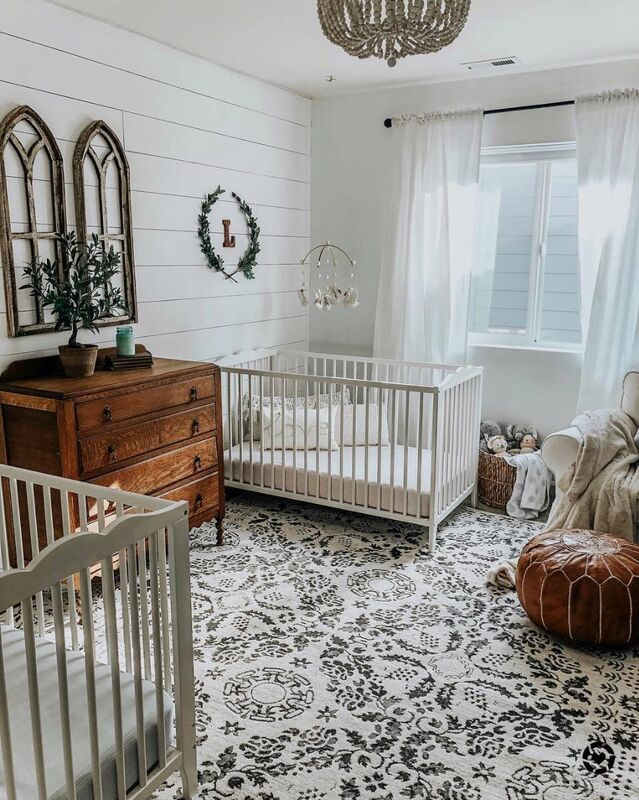 This vintage-meets-modern space that’s brimming with cozy texture. 8. This sweet sanctuary complete with applied box moulding. 9. 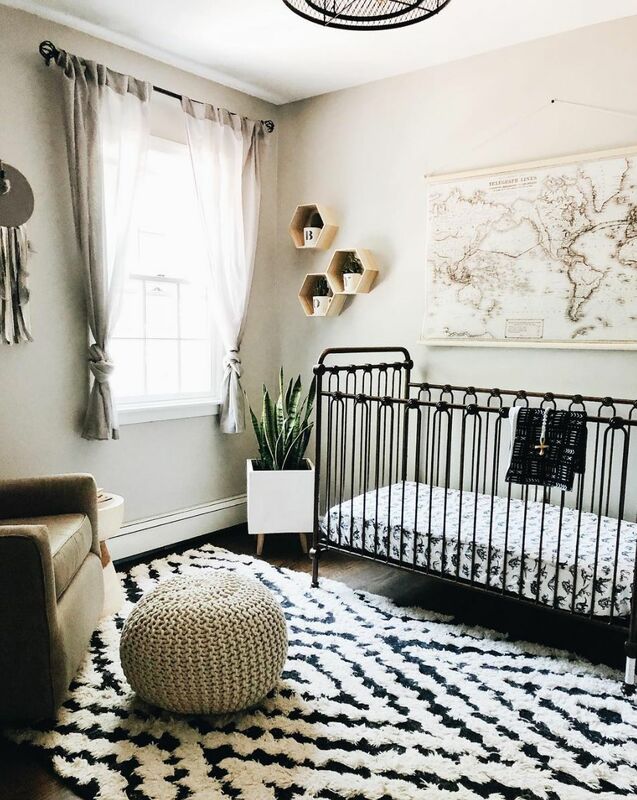 This dark and moody nursery for a little guy with a lot of books. 10. 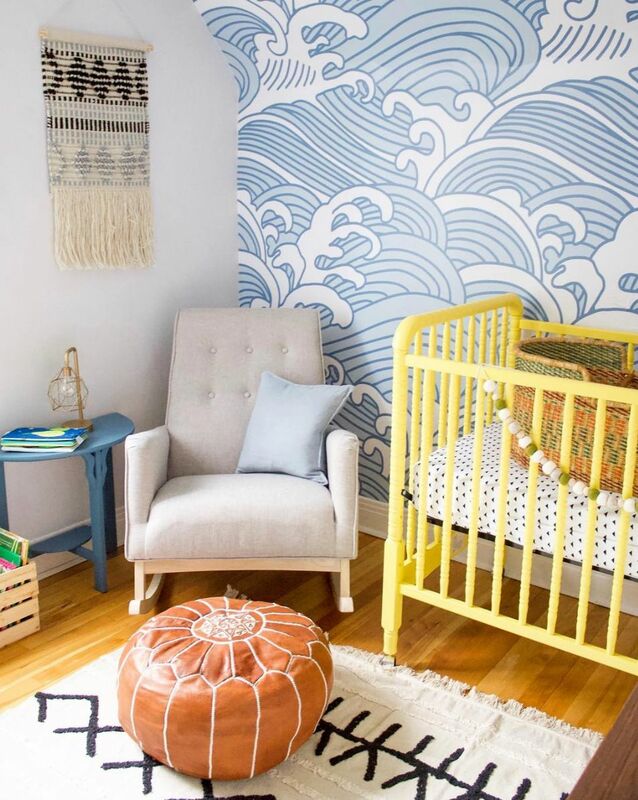 This color happy space with a wallpaper mural inspired by The Great Wave. 11. 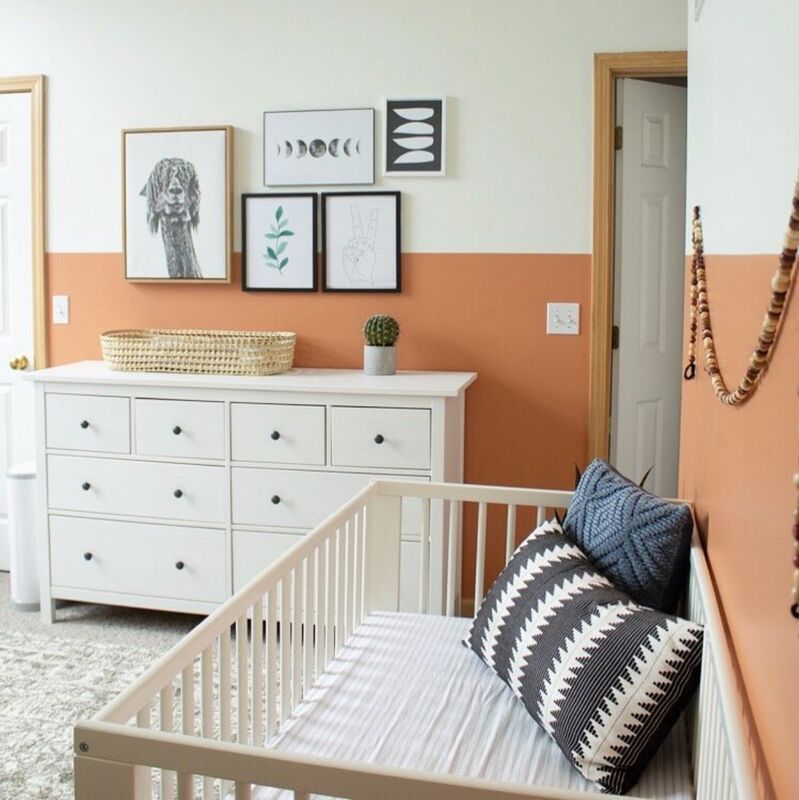 This room with a peachy keen paint job and boho decor accents. 12. This eclectic space that boasts trendy indigo-dyed curtains. 13. 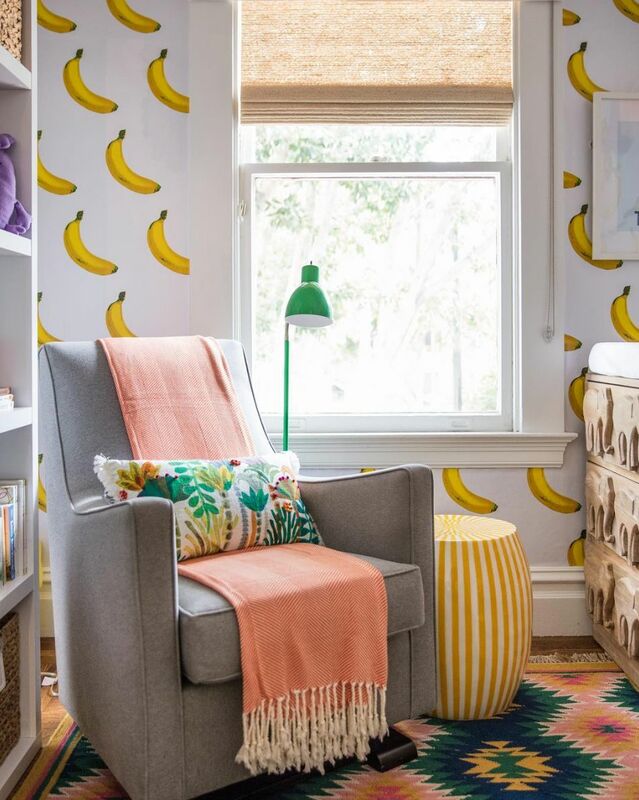 This maximalist’s dream featuring funky banana-print wallpaper. 14. 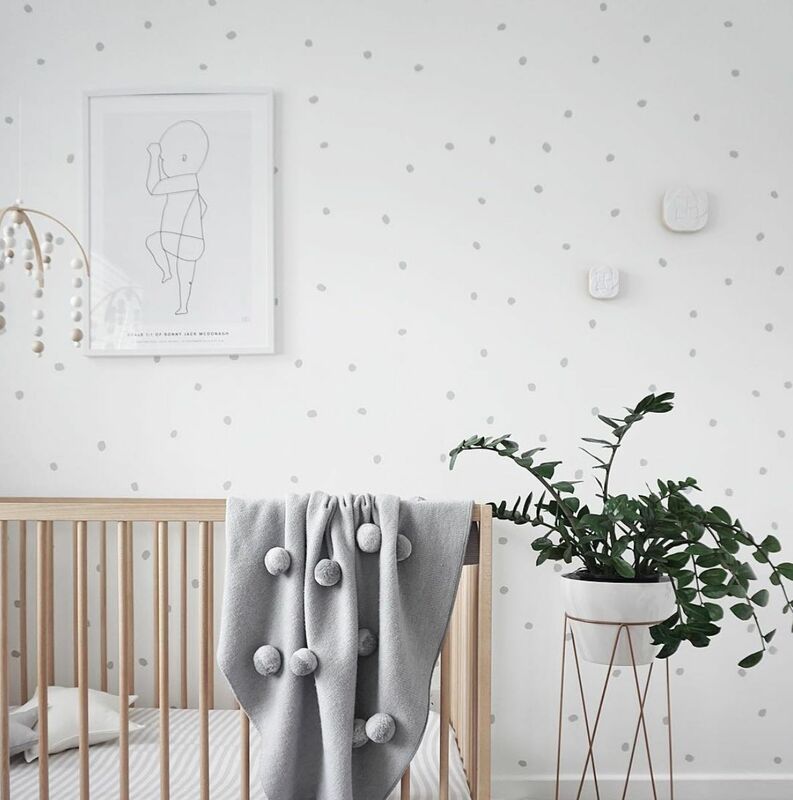 And finally, this Scandi-style nursery with clean lines and organic elements.